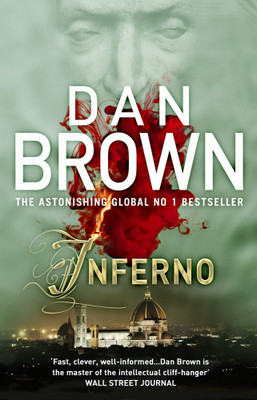 Dan Brown’s second literary adventure “Angels & Demons” was first published in 2000, but the sells picked up after the super success of “Da Vinci Code” in 2003. The stories though not connected, are constructed in a similar system. There is the character of harvard symbologist Robert Langdon, getting involved in a dangersous situation and caught in the race with time over a 24 hours span, unravelling intricate mysteries pertaining to christianity and secret societies, escaping through a no. of near death experiences and finding initially a comrade and later a romance in a pretty and intelligent woman; there is of course Dan Brown’s signature mysterious professional assassin present, committing a series of hideous murders, but the similarities end there. The story starts when Langdon is contacted by the director of CERN, Maximillian Kohler, on an urgent mission and flies to Geneva, where he finds a scientist named Leonardo Vetra brutally murdered and burnt on his chest is the word “Illuminati”, such that it can be read from either top or bottom sides, i.e., an ambigram. Langdon explains to Kohler about Illuminati being one of the most ancient society of scientists who is believed to be extinct. During the middle ages the Illuminati were hunted and burned alive by the christian church. Kohler informs Langdon that Vetra was working on a project to produce highly unstable and dangerous “anti-matter” and a canister of the same has been stolen by the murderer. Leonardo’s adopted daughter, Vittoria joins them and explains that the anti-matter storage canisters have storage batteries that last for 24 hours; this means that whereever the canister is, after 24 hours, it is going to create an explosion as powerful as a nuclear bomb. The panic increases even more when they discover that the canister is in Vatican, which is now hosting the election of new pope and is full of priests, faithful devoties and world media. Langdon and Vittoria goes to Vatican. The canister is hidden at some unknown place and its video footage taken through a stolen camera is being relayed to the Vatican guards. To make the matters worse, they find out that the four cardinals who are considered the most favourite candidates for the papacy, are kidnapped and the Illuminati has threatened to kill each of them one by one in a way that will fulfil their legend. The camerlengo Carlo Ventresca decides to go ahead with the election process, while allowing Langdon and Vittoria to start their search. Langdon finds out the ancient “path of Illumination” used by the group during middle ages to guide the new members, from a book by Gaileleo, stored in the Vatican Archives. The path is supposed to point to a secret meeting place of the Illuminati at last where the anto matter canister most probaly is. The path is in form of a puzzle, on solving which he discovers that there are four churces across the city, each representing a basic element of nature i.e., Earth, Air, Fire and Water; and it is at these churches that the kidnapped priests will be killed one by one. Their race against the time and an unknown assassin starts now. They are late enough to find only corpses in the first two cases: one buried alive in the Earth, another left with punctured lungs; both branded in chest with perfect ambigrams of the words “Earth” and “Air”. At the third church, they catch the assassin in the act of setting the cardinal, branded in chest with the very word, to fire; but he manages to shut Langdon in a tomb, kidnap Vittoria and get away. Langdon manages to get out and goes to the fourth church, but is unable to save the cardinal; instead he himself finds battling the assassin who leaves him at the bottom of a fountain to die along with the corpse of the fourth cardinal, branded in the chest with “Water”. But, Langdon survives yet again and the only way left to him now to rescue Vittoria is to go to the secret meeting place of Illuminati, which is none other than “The castle of Angels”. An interesting fight ensues, and finally Robert and Vittoria manages to throw away the assassin from top. But, they are nowhere near finding the canister of the anti-matter. They run back to the chamberlain’s office, but on approaching it they find that Kohler is shut up inside with him; and suddenly Carlo Ventresca starts yelling. Everybody rushes in and find that his chest is scorched with the last and final ambigram of the Illuminati. The guards kill Kohler, but he manages to give a video tape to Langdon before dying, claiming that it contains the explanation and the proof for everything. Carlo Ventresca denies to go the hospital, and in front of the crowd, appears to have a revealation from the divine power about the canister. He runs back inside and finds out the canister, but there are only a few minutes left now to the explosion. He decides to take the canister to sky in a helicopter and let the explosion happen there. Langdon accompanies him, too. And the crowd witnesses an explosion of light way above their heads. What happens next? Could Ventresca or Langdon survive the explosion? Does the Illuminaty still exist in reality, if yes, then who is the head of the Illuminati? Who had hired the assassin? What is in the tape that Kohler gave to Langodn? Was the previous Pope murdered as the evidence suggests? “Angels and Demons” starts with a good pace, but it appears to drag at the end. The brutality of one after another murder becomes too much and the reader feels that the end could have come sooner. The book heavily referes to ancient architecture and symbols, but inaccuracies have been reported about these by various people and organisations. The History Channel aired an documentary called “Angels & Demons decoded” on May 10, 2009 and CERN had published and FAQ explaining about the anti-matter part used in the book. The ambigrams used in the book were created by a real-life typographer John Langdon.